database conversion, password recovery, address book conversion program and pdf software. eSoftTools offers absolute solutions of digital products to personal and business users for data conversion, email migration, data backup, forensic and password revealer solutions and more. eSoftTools presents complete solution for Lotus Notes Administrator's for recovering and migrating Lotus Notes Database Files. eSoftTools offers exhaustive range of Email Converter Software to convert emails from MS Outlook, Outlook Express, Lotus Notes, Thunderbird and many more. All kinds of Password Recovery Solution provided by eSoftTools which help users to easily recover forgotten password from Access, Excel, Word and many more. Easy to recover and export address book list from vCard, Live Mail, Lotus Notes, MS Outlook into multiple formats. Get the listing by clicking below button. 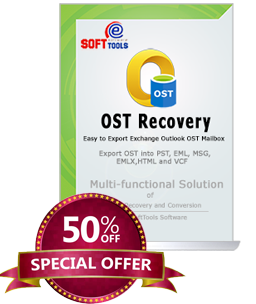 Perfect OST Recovery Software to easily recover OST file and Export OST to PST, EML, EMLX, MSG, HTML and vCard file. 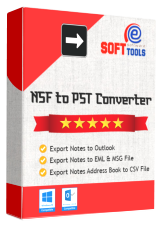 NSF to MSG Converter Easy & safe solution to Export Lotus Notes Mail Messages to MSG file(s). Export Notes to MSG file. 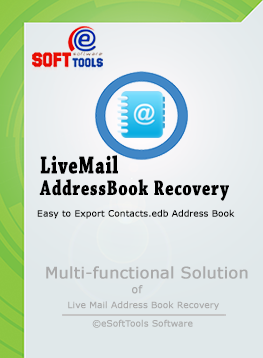 LiveMail Address Book Recovery Simplest way to read LiveMail Contacts & Export Contacts.edb file. Export to vCard (*.vcf) file. Export to PST & CSV. PST to EML Converter Affordable solution to convert outlook email to eml file. 2-steps to export PST to EML. EML to MSG Converter Solution for Email Messages to Export into MSG format. Batch mode to Export EML. EML to PST Converter Perfect EML Converter App to to Export EML to PST Outlook file. Get "Unicode PST" in resultant. Maintain's email header & attachment. Why Our Users Love eSoftTools Solutions? My need is to upgrade my Win XP to Win 8.1 and also need to use MS Outlook for mail messaging. I have 42,000 EML files which i need to add in my MS Outlook. eSoftTools helped me for this task, I use EML to MSG Converter and easy to export EML to MSG files. Give a wonderful experience. It’s our pleasure to deal with eSoftTools team, they provided the best quality product i have ever seen. 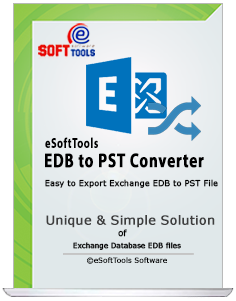 eSoftTools DBX Converter is really helpful solution which help us to easily export DBX to PST file. We would have no hesitation in recommending eSofTools for any IT requirements needed. eSoftTools support staff understand queries and they combined with clients in full passion to fix issues and short every queries. Click here to read our Blog Post's. Connect with our support staff. 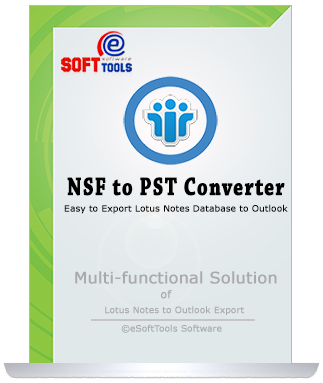 Export Lotus Notes - Version updated with more conversion functionality and conversion accuracy. PST to EML Converter - Launched newer solution for Outlook Conversion i.e Outlook PST to EML file. 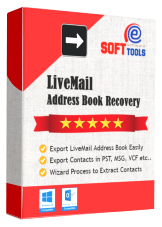 LiveMail Address Book Recovery - A Perfect Wizard to easily Recover & Export LiveMail Address Book to Outlook PST, CSV, vCard and many more. EML to MSG Converter - Launched EML Conversion application, that helps you to switch EML supported mail clients to MS Outlook supported MSG files. We continuously upgrade our digital solutions with latest technology for our clients to easily move their work data from one platform to another with full accuracy.